The notoriously flawed House Speaker Paul Ryan has announced that he is going to oppose the efforts from Representative Jim Jordan (R-OH) and Representative Mark Meadows (R-NC) to impeach Deputy Attorney General Rod Rosenstein from his role of corrupting the Department of Justice. Speaker Ryan oftentimes referred to a RINO (Republican in name only), has decided to be a vocal opposition to the removal of what most Americans would perceive as being corruption in the Department of Justice at the hands of Deputy AG Rosenstein, with many calling for his Impeachment for the last several months. Not to mention, Paul Ryan is on his way out via retirement, with Representative Jim Jordan leading as a fan favorite to replace Ryan for the House of Representatives GOP Majority Speaker role, only to obstruct once again the will of the American voters during a tumultuous time for the nation. There's a total of eleven Republicans backing the Freedom Caucus’ decision to oust Rosenstein through impeachment, after he's repeatedly stonewalled the House Permanent Select Committee on Intelligence in their desire to seek documents relating to the ongoing FISA surveillance investigation during the 2016 elections, where the Trump campaign was subject to illicit wiretaps and monitoring at the hands of a biased Federal Bureau of Investigation and Department of Justice, heavily perpetuated by the Obama regime. “I don’t think we should be cavalier with this process or with this term,” RINO Ryan said, while simultaneously encouraging the DOJ to produce documents promptly. Most of the Trump supporters in America already hold deeply-rooted dislike of Paul Ryan, and the newest developments suggesting he's going to intervene and prevent an Impeachment are only going to create more disdain for the cowardly Representative from Wisconsin. The American people are also fully aware of the ongoing “witch hunt” against the most successful President in modern history, as the 45th President of the United States of America, Donald J. Trump, continues to see enormous success in domestic policy boasting the lowest unemployment rates in fifty years inside the country. To attempt to manage governing the world's most powerful nation, all while being attacked endlessly by the mainstream media, the Democratic Party, and even being subverted from within the Republican Party by Paul Ryan, it's an amazing if not historic feat to be able to accomplish what this President has in such a short time. Not to mention, the fact that the Deputy Attorney General Rod Rosenstein continues to drag his feet in putting an end to the biased efforts to bring down the President, only underscoring why Rosenstein needs to be impeached. We've watched for nearly two years as mountains of evidence stack up against the Democratic Party’s former candidate for President, Hillary Clinton, alongside the majority of the Obama Administration’s appointees and cabinet, as well as several high-profile leaders within the FBI and DOJ; without a single arrest occurring to bring justice to the liberal elite for their crimes against the taxpayers and the President of the United States of America. Why would Paul Ryan stand in the way of this ousting, taking the sides of corrupt Democrats such as Representative Adam Schiff (D-CA), and avoiding bringing the term “Justice” back to the DOJ? Who is Ryan protecting? 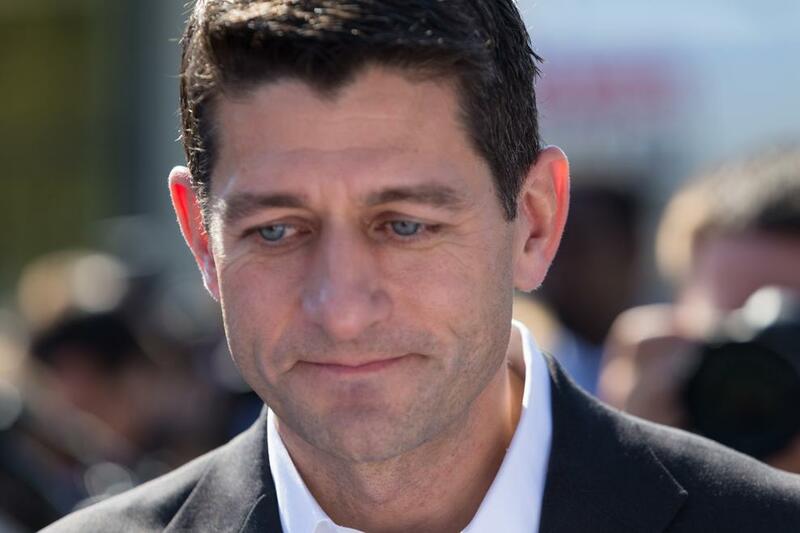 It certainly appears that Paul Ryan is again answering to his globalist masters within the “Deep State,” who again show no signs of easing up their efforts to stop President Trump from keeping America great. Be sure to call your elected officials and tell them how you feel about this gross miscarriage of justice for the ruling elite. We the people have had enough. We demand justice. We demand vindication. We demand equality for the elites just as we would see for ourselves had we committed the crimes that we know they've engaged in. Soon, the American populace will be pushed too far, and this President has an army of support behind him, willing to do whatever is necessary to restore law and order to this nation and respect the Constitutional rights of Americans. Traitor cuck Paul Ryan needs a short rope and long drop. Why can't the just tell Ryne to go to hell. He just the speaker . Not a boss he work for the American people. Not the Washington Mafia. It time to fire Rosenstine .If Ryne don't like it fire him also. He has been a SOB for yrs. Brown >>32462 you can barely construct a coherent sentence. did you EVER go to school at all?